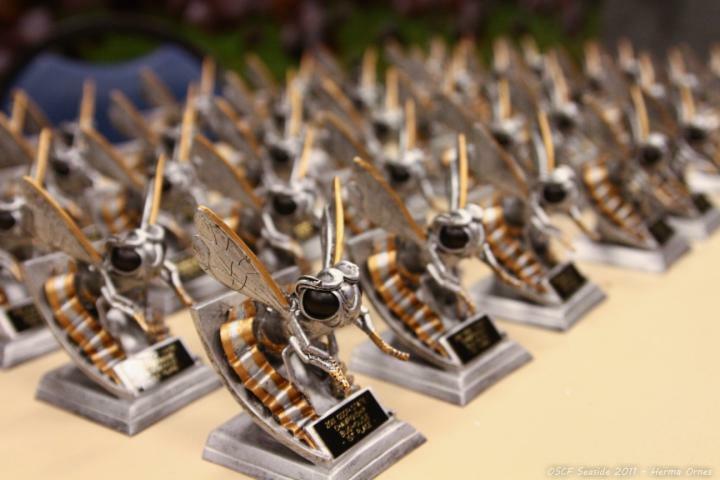 Sixty-eight bughouse teams with names like Cheeseburger Cats, Buzzing Monkeys, and One Smart Fellow He Felt Smart battled it out to see who would take home the unique and lovely bughouse trophies and who would have to settle for eating worms (gummy worms, that is). 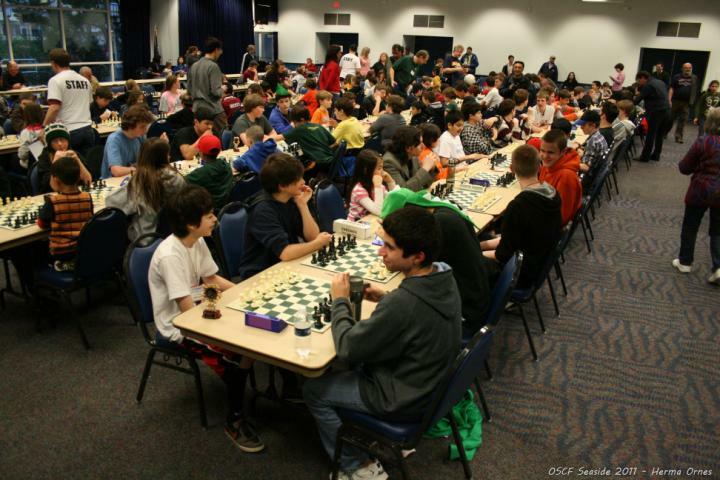 The 68 teams were divided into 17 quads for a double round-robin tournament. Most of the teams in the A Quad were named after famous people of dubious character: Charlie Sheen, Tiger Woods, and Mel Gibson. The fourth team, M&M, was an amusing contrast of players: Chess Master and recent HS graduate, Steven Breckenridge, teamed up with 3rd grader Andrea Botez to form a formidable team. However, Tiger Woods (Calvin Parnon and Caleb Kesey) was on his game and won the section with relative ease. In Quad B, brothers Aaron and Ben Pikus called themselves the generic “A Bughouse Team” but turned in a performance that was anything-but-generic — a perfect 6/6. The only other perfect score was turned in by another pair of “Flabbergasted” brothers, Robert and Tommy Piwonka in the Quad M.
One other pair of brothers, David and Jacob DeKlyen, teamed up to become a “Chess Monster” and win their section (Quad Q). Section O ended with all teams at 3/6. After a series of tiebreak matches, the Seahawks (Eric Gibbs and Jordan Lyda) triumphed.